I bought this beautiful Kennedy 25 2-post just a few months ago. It has been a pleasure to own, use and admire. I have however found myself using the "French Kennedy" (VV Xperto RDA) more. Thus I have decided to sell the Kennedy. It should have an active owner. Here is an album showcasing the Flawless Kennedy. Price starts at 100 AUD; it comes with any build of your choosing (wicked and ready to go). I have; Aliens, Vertibraids, Staple and regular Clapton variant coils; and hand-made variants of the aforementioned if desired. –FLAWLESS SMOANT Cylon 200W mod. Click for Showcase: Awesome Middle-Range Mod. Barely used and 1 month old. $60!. –FLAWLESS Geek Vape Creed RTA. Click for Showcase; Built and used literally once, a great dual coil RTA with a kennedy-style bottom airflow. However I am sticking with single coil RTAs. 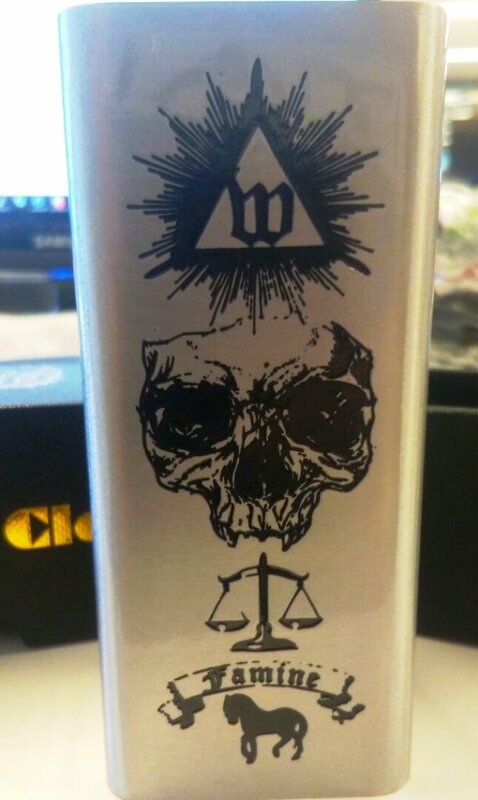 Comes with a complimentary build/wick. $25. –VooPoo Drag 160W Red/Blue Resin mod: Micro USB is cooked but otherwise working fine. $35. Includes Batteries. –OBS Crius II Single RDA (Matte Black): A legendary Single coil RTA. You'll notice I have another in my showcases above, one of my favourite tanks and hard to find in Australia. 25. –USED; Lost Vape Paranormal DNA 250C (Scarlet Resin). Here is an album showcasing the Paranormal, bear in mind I am still using it and have not yet thoroughly cleaned it; 100 AUD SOLD. Comment or PM me if you are interested in any of the above. I would be happy to provide further pictures/etc if needed.